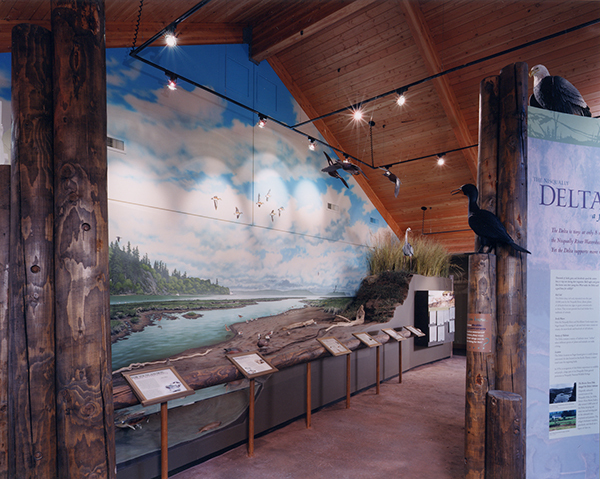 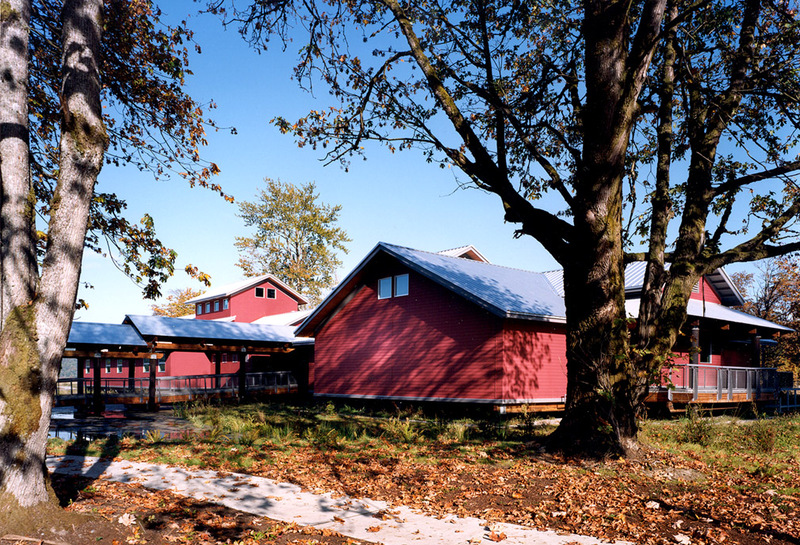 The Visitor Center features education and wildlife observation opportunities related to wetland biology and native waterfowl. 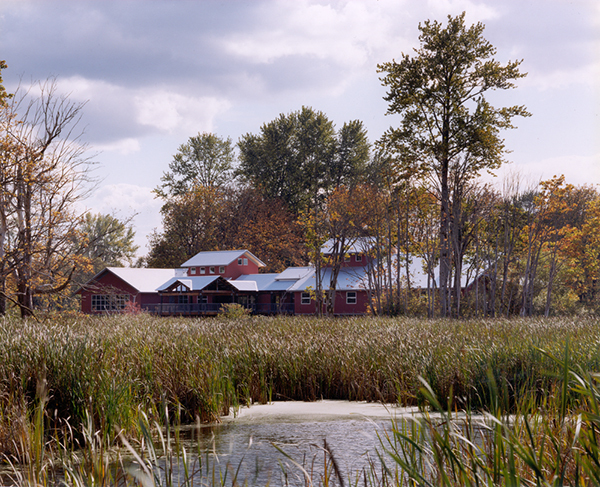 The pedestrian approach to the Visitor Center is elevated above a new wetland. 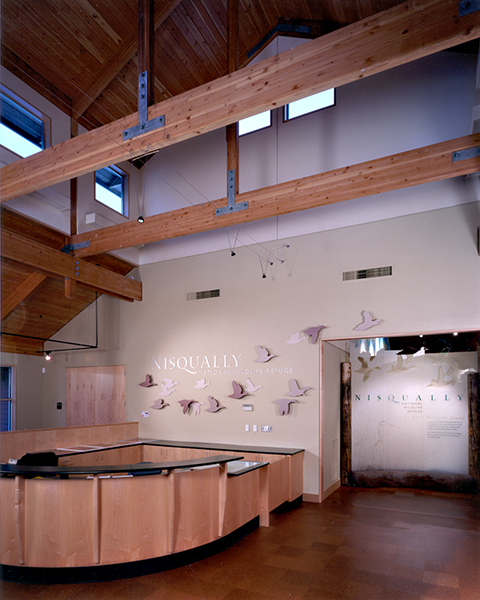 The building features an exposed post and beam structure and carefully detailed interior spaces. 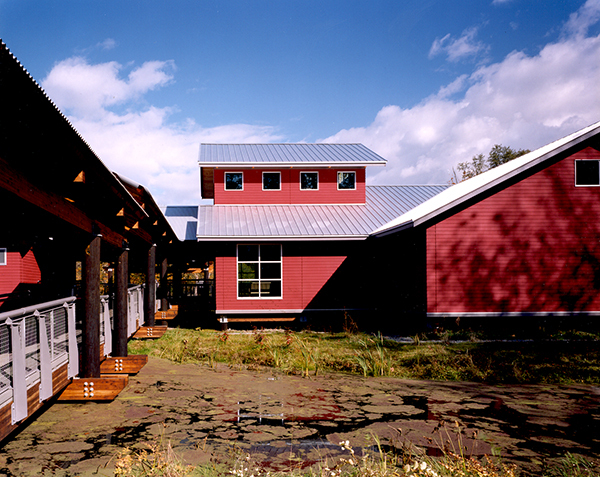 The building is constructed on pilings driven to a depth of 20 feet.